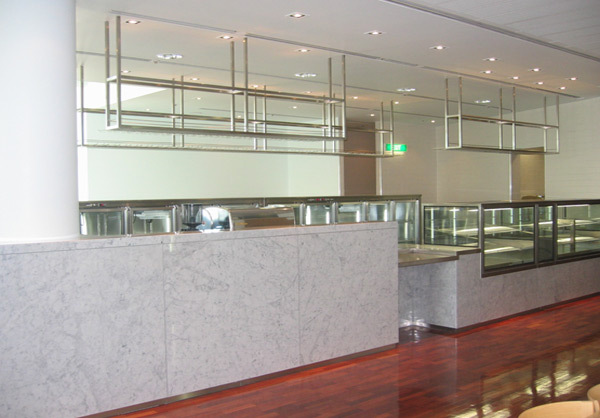 The initial brief called for the refurbishment of the Queen’s Terrace Café in Parliament House and later included the complete refurbishment of the adjacent kitchen in the scope of works. The first stage was to carry out a detailed re-design of the Café area to make it more user-friendly and in keeping with the current trends elsewhere. 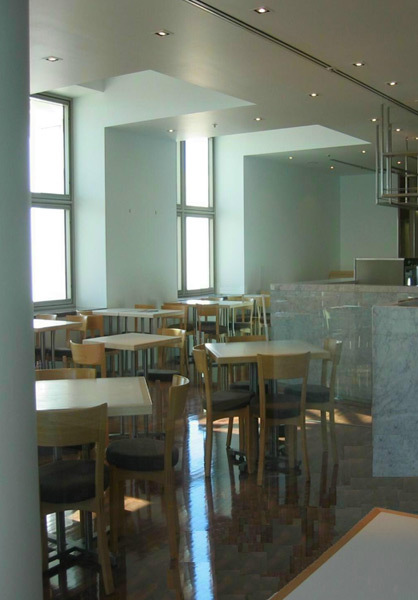 The refurbishment required the complete removal of the old servery, floor and wall finishes, selected areas of ceilings, mechanical, electrical, fire, food preparation and security equipment. Please visit this website to view the current menu offerings.